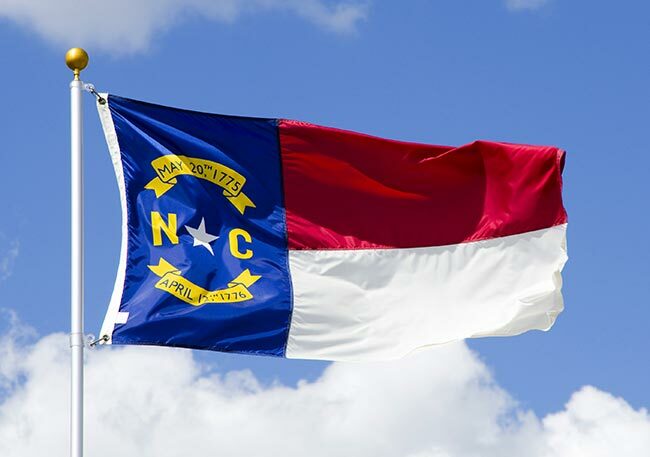 From beach resorts on the coast to the biotech firms of the Research Triangle Park, North Carolina is one of America’s most multifaceted economies. Farms and production centers are spread throughout the state yet held together with an extensive road network. Hot Shot Trucking knows those roads well, having long linked North Carolina’s vibrant businesses to the rest of the country. One of the most striking features of North Carolina is its decentralization. Whereas most states have a clear distinction between dense cities and sparse countryside, Tar Heel cities are spread out, while its rural areas are well supplied and bustling. For all the advantages of this arrangement, it does create a challenge for shippers, who must cross vast distances to supply the state’s many economic centers. Hot Shot Trucking has long been up to this challenge. With trucks and coverage in Greensboro, Charlotte, and the Triangle, we are perfectly situated to reach any major point in the Tar Heel State. We have worked with hundreds of businesses from dozens of different industries, preparing us to serve the diverse Carolinian economy. Dedicated Deliveries - When you place an order with Hot Shot Trucking, we will assign a truck to it specifically. You will not have to wait for us to deliver others’ orders before getting to yours. Careful Contact - We provide our clients with all the information they need from a single source. Whether you want to receive updates on a current delivery, give instructions for a future one, or get a freight quote before deciding to work with us, we will happily accommodate you. Team Trucking - If you need to ship from or deliver to a distant location, we will place a team of two drivers in the truck. The drivers can then alternate between operating the vehicle and resting. This allows them to drive at all hours without becoming fatigued, ensuring both safety and speed. Vehicle Verification - We regularly inspect our vehicles for signs of damage and obsolete parts, and make the necessary repairs and upgrades as soon as we find them. This improves our vehicles’ speed and fuel efficiency, allowing us to deliver more quickly while cutting prices. It also lowers the risk of a breakdown or accident that could damage your goods. 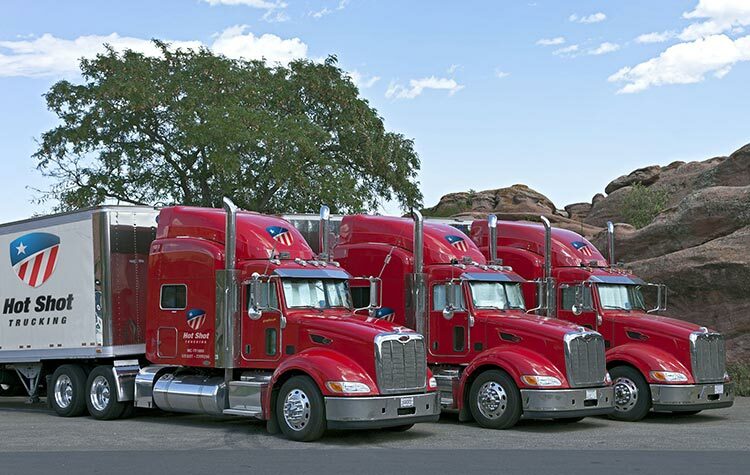 National Network - Hot Shot Trucking has vehicles and services in cities all over the United States, as well as in Canada. This allows us to respond quickly to your orders, picking them up no more than two hours after you place them. 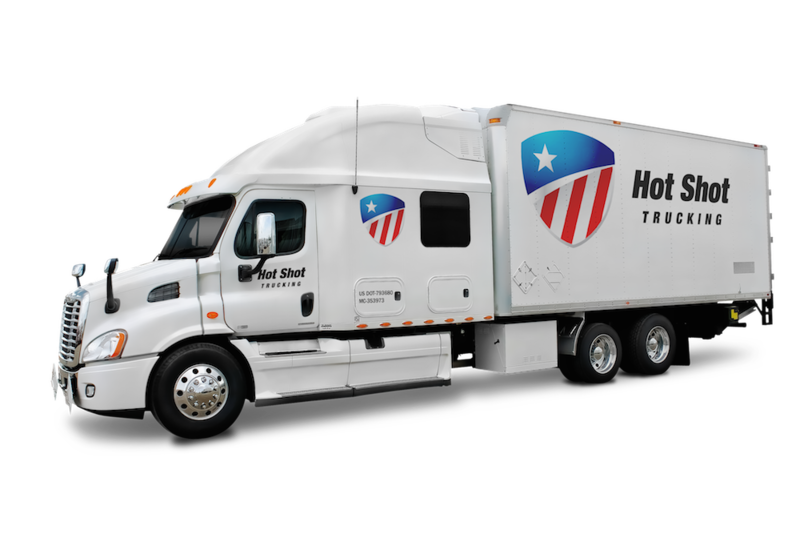 The Hot Shot freight fleet consists of more than 10,000 vehicles, ranging in size from sprinter vans to tractor trailers. We choose a vehicle based on the size of your order, making sure to use every inch of space effectively and not charge you for redundant room. We provide detailed pricing and delivery information ahead of time, allowing you to plan effectively. For more information on Hot Shot services in North Carolina, contact us today.